We all know that America is in the throes of an obesity epidemic. Based on a study done in 2011-2012, 35 percent of the population of the United States was estimated to be obese. Obesity in children has been on the rise, and type II diabetes (almost always associated with obesity) is now being seen in great numbers, including in substantial numbers of adolescents for the first time. There is no question that obesity is strongly correlated with an increased risk of developing cardiovascular disease, and is considered one of the major risk factors for coronary artery disease, peripheral artery disease, and stroke. However, we also hear voices telling us that the relationship of obesity to cardiac risk is not yet a settled question. The issue is whether obesity itself confers the excess risk, or instead whether the excess risk is related to all the other risk factors that are associated with being overweight. Clinical scientists have tried for years to tease out how much of the excess risk seen with obesity is due to the obesity itself, and how much is due to these other risk factors that are almost always present in overweight people. When you hear about “controversy” among scientists on whether obesity is actually risky to the heart, that’s the question they are arguing about. This question is still unsettled, but the evidence so far points to obesity itself conferring some of the excess risks with all the other risk factors that tend to be intrinsically related to obesity conferring the rest. 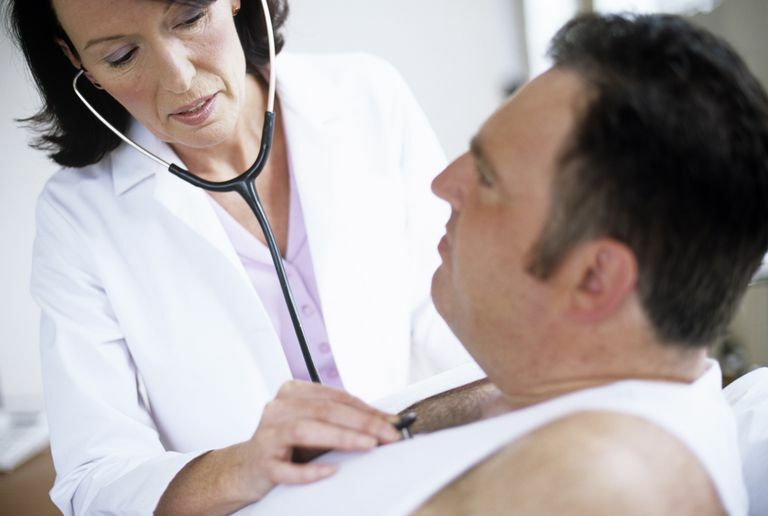 If you are obese, your risk of heart disease is significantly elevated. How much of your increased risk is actually caused by the increased fat itself, and how much is caused by the various secondary metabolic abnormalities that obesity tends to carry with it, is nearly irrelevant to you personally. The fact is, your cardiac risk tends to go up in proportion to the amount of excess weight you are carrying. And it is difficult if not impossible to really get rid of those risk factors without losing weight. Let the scientists fight about how much of the excess risk related to obesity is caused by obesity. Their arguments will make little or no difference to you. Here are three things about obesity and cardiac risk that are not controversial, and that may help you think about what you should do. Obesity is one of several critical cardiac risk factors, but it is only one. Whether you are overweight or not, you should make a formal assessment of your overall cardiac risk. If you are obese, odds are high that several other of your risk factors are unfavorable as well, and that your overall cardiovascular risk is substantially elevated. So it is very important for you to take control of all your risk factors. While there are medical therapies that can address most of the cardiac risk factors associated with obesity (such as medications for diabetes, hypertension, and cholesterol), losing weight will tend to move all of your associated risk factors in the right direction. Losing weight, therefore, can be the key to living a longer, healthier life. Lavie CJ, Milani RV, Ventura HO. Obesity and cardiovascular disease. Risk factor, paradox, and impact of weight loss. J Am Coll Cardiol 2009;53:1925-1932. Ogden CL, Carroll MD, Kit BK, Flegal KM. Prevalence of childhood and adult obesity in the United States, 2011-2012. JAMA 2014; 311:806.